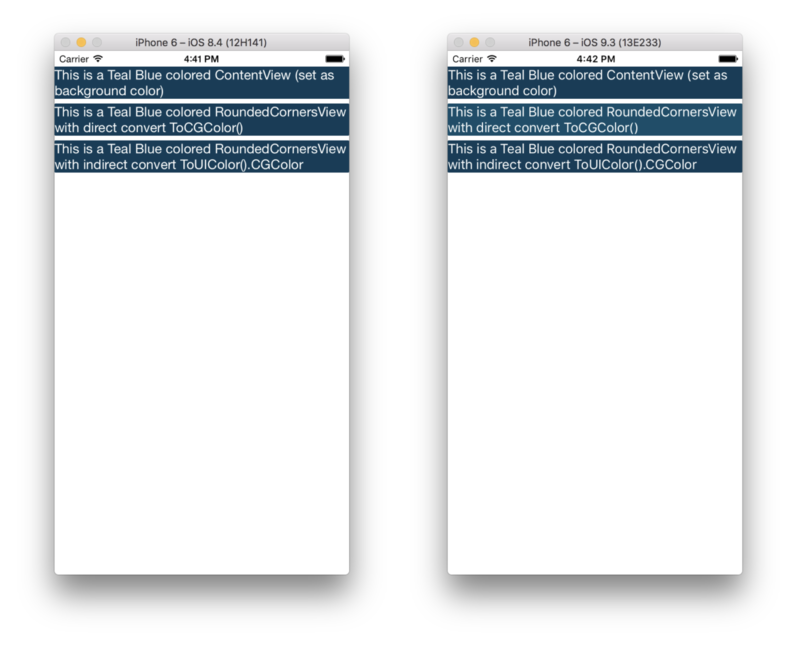 Recently a user filed a bug where the same RGB color when converted into a UIColor, and later into CGColor is different that going from the RGB value to a CGColor directly on recent versions of iOS. 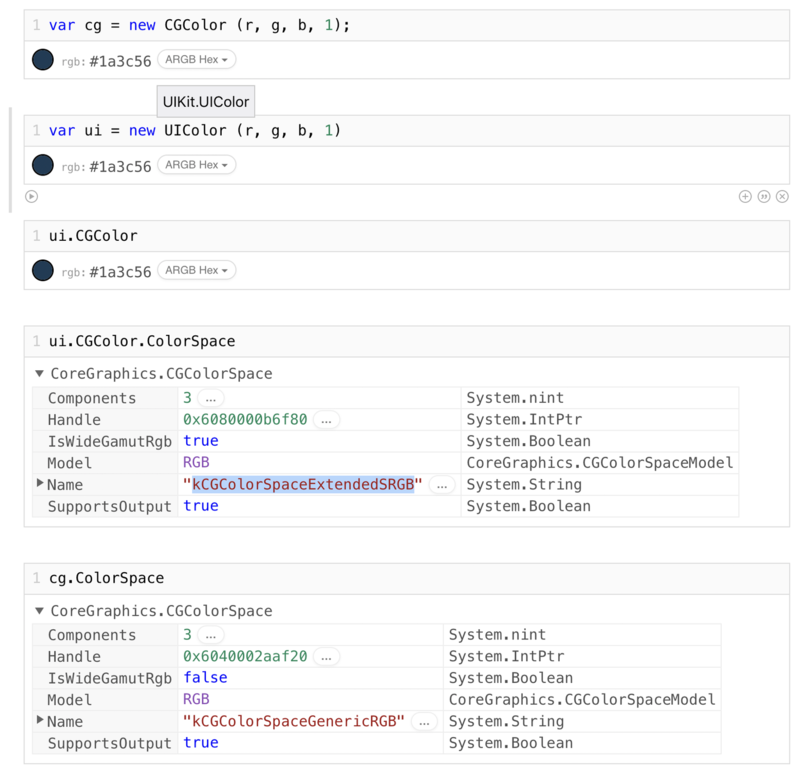 What is happening here is that CGColors that are created directly from the RGB values are being created on kCGColorSpaceGenericRGB colorspace. Starting with iOS 10, UIColor objects are being created with a device specific color space, in my current simluator this value is kCGColorSpaceExtendedSRGB.